An Industrial Placement with Vax is a fantastic opportunity for you to become part of the UK's number one floorcare brand and gain valuable experience of working in an energetic and highly successful company. Our placements offer you 12 months in industry with the chance to be part of real projects with real responsibility from the moment you start with us. During your time at Vax you'll be encouraged to communicate with all parts of the business, giving you a unique insight into the day-to-day operations of a fast-paced, commercial environment. You'll work alongside talented and enthusiastic individuals, developing new skills that will give you the edge in your college course and future career. So if you are taking a year out as part of your degree and you are ready for a new challenge, look out for our current industrial placement opportunities listed on this page. "You are always learning. Every member of the team has different skills that have helped me develop mine and I was able to see the work I was doing go from concept right through to production. The experience I gained at Vax has already aided me with my final university project." "It gave me a great head start in the world of design. By working in industry I started to look at products in a different way, which helped my overall understanding of the new product development process. 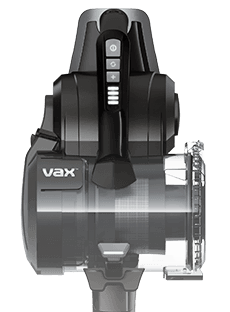 Vax has a friendly vibe, which makes even the most daunting tasks achievable." "You are immersed into a friendly, fast paced and exciting design environment. My three placements at Vax across Easter and summer periods allowed me to experience all aspects of NPD, from looking into trends, concepts and new ideas, to improving existing products and technology. You rapidly develop your skills and are able to have a real impact on the latest products! It is a placement that I could not recommend more highly." We're sorry, there are currently no new placements available. For more information about the vacancies we currently have at Vax please visit the careers page.